Welcome to our world of live & artificial indoor tropical plants for your home or office. Spring : not just yet! Spring is fast approaching. I saw my first robin yesterday, which is the sign of Spring for me. It is still winter here in Southern Ontario. We are starting to see some benefit from the 4 season sunroom we had installed last Fall. I should say, the plants in the sunroom are benefiting; which of course, benefits us. We have a few issues with the sunroom; but the contractor, #Tropical Sunrooms, has advised that they will take care of these issues. I’ll let you know how they respond. The plants - 8′ Calamondin Orange tree, Persian Lime bush, 3 Mandevella, 4 Phalenopsis orchids, Mexican dry moss, Pineapple Bush, plectranthus amboinicus, 2 Mini Phalenopsis orchids, Rosemary bush, Gardenia tree and a 6 foot Ficus benjamina. Each of these plants has a story behind it. A story of survival and issues beyond their control that have affected their lives or at least their conditions. What has happened? What can we do about it? What will we do about it? This is a good news story. After 35 years of providing professional plant care services and sales of indoor tropical plants to Guelph and area (and beyond via the internet), Linda and Brian are retiring. our service to our commercial contracted plant maintenance clients will stop at the end of December 2015. We have arranged for these clients to have continued quality service through another professional interior plant maintenance company. we have extended our store hours until the end of December 2015. Please come in to say goodbye. we will be featuring lots of discounts as we clear out inventory, so check this site frequently or better yet, stop into the store. starting at just $4. Christmas plants and colours are everywhere, so come and check it out. Visit our Plants For All showroom at 66 Dawson Road (I’ll be glad you did) or jump over to our Plants For All website to see some of the plants and accessories for your home, your gifts and/or your office. Welcome to our world of live & artificial indoor tropical plants for your home or office. This blog will update you about what is happening in my world of indoor tropical plants. 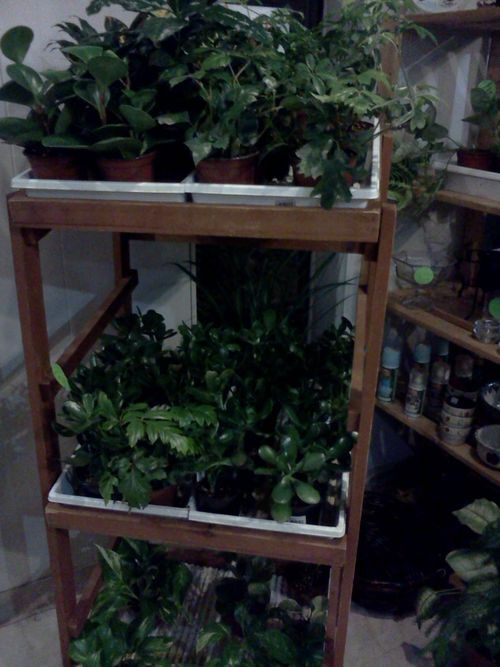 Visit regularly to see what is going on in our store, Plants For All in Guelph, Ontario. I invite your feedback about my postings.